Freedom Rally is an initiative of House of Freedom; the House of Freedom is an organization whose core values are centered around governance, leadership and impacting the community. 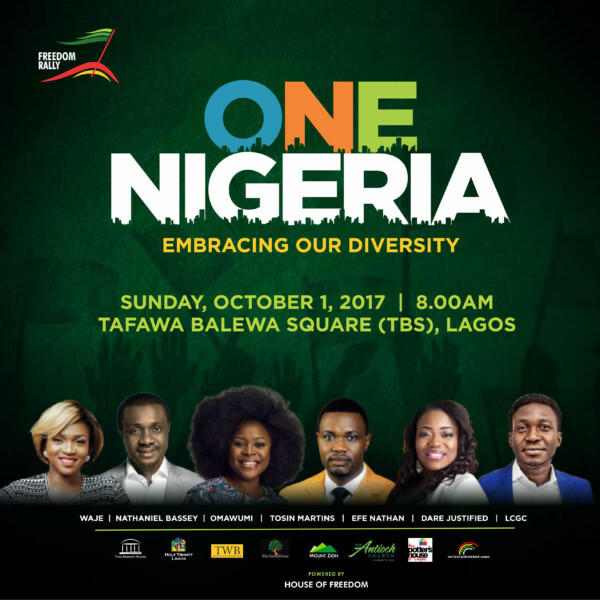 This rally was formed as a spearhead to fulfill the vision of House of Freedom, which is to push God’s Agenda in Nigeria. The mandate of the house to influence leadership and governance in Nigeria and this rally is a focus for our organization to support and build a great Nigeria. 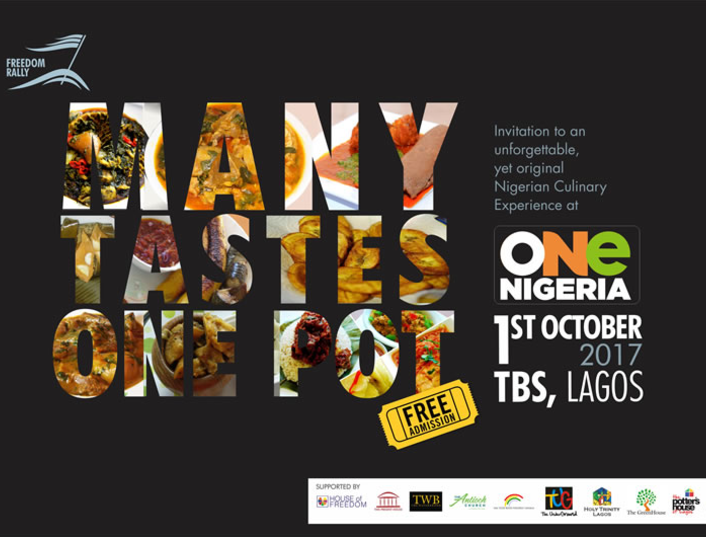 The theme of this year'e edition is One Nigeria. Even in the diversity that is our country God has an agenda for our unity, this yeah God is removing the divide and holding us together despite our diversity. As the trinity is different yet one that is where Nigeria is going to, being diverse and one. Speakers at the event include, Peter Obi, Obiageli Ezekwesili and Pastor Tony Rapu.